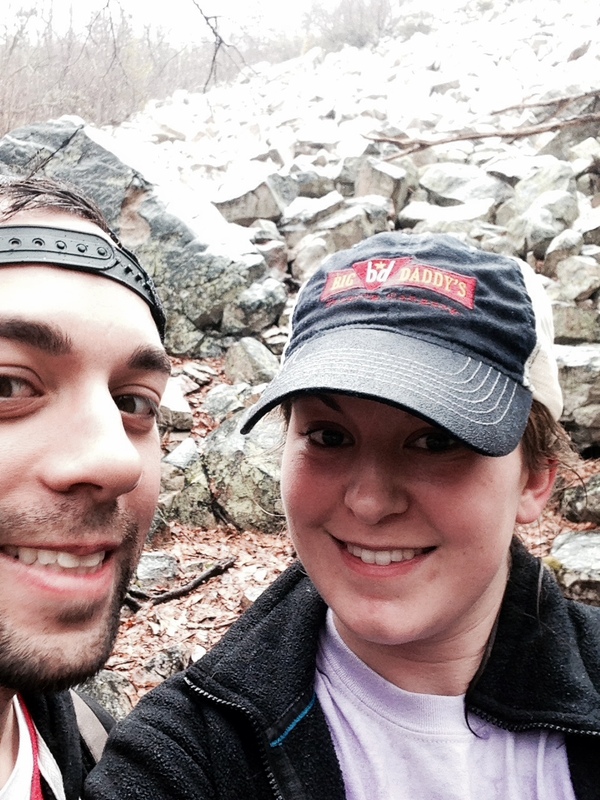 We had a great time hiking The Devil’s Marbleyard yesterday. We drove around for hours trying to find it (a trend when we go hiking), and by the time we got there is was pouring rain and the warmer temperatures we were experiencing earlier in the day were quickly dropping. Nonetheless, we decided to continue with our Sunday hike. By the time it was over we were muddy, drenched and freezing! To reward us for our devotion and overall good spirit considering the days events, I decided to make Adam’s mother’s recipe for veggie lasagna. This lasagna is so healthy, delicious and packed with veggies! 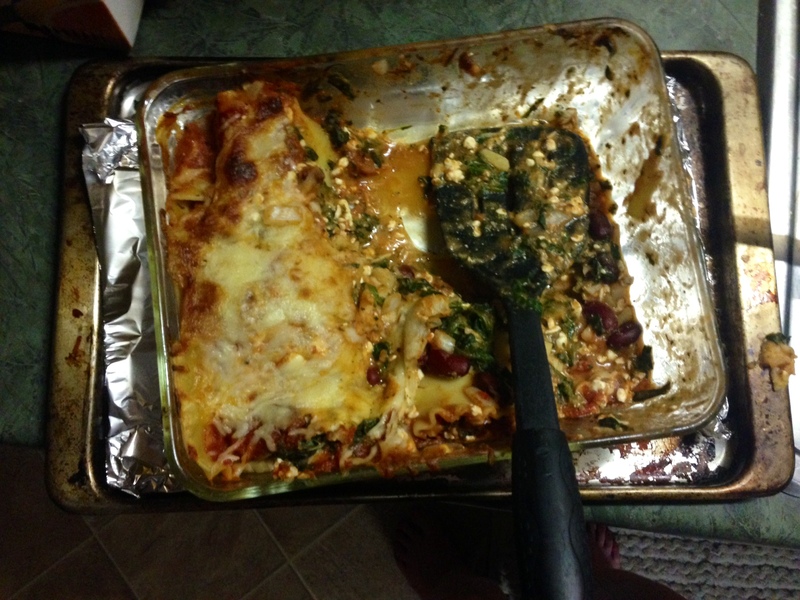 The story goes that she made this recipe to trick her children (Adam and his sister), into eating their veggies by layering in between lasagna noodles and zesty tomato sauce. Well it works for me and Adam practically begs for this to be on the dinner table. So I thought it would be a great first recipe to share. 1. Preheat the oven to 350 degrees. Mix together the italian season and cottage cheese and lightly grease a 9″ casserole dish with EVOO. 2. 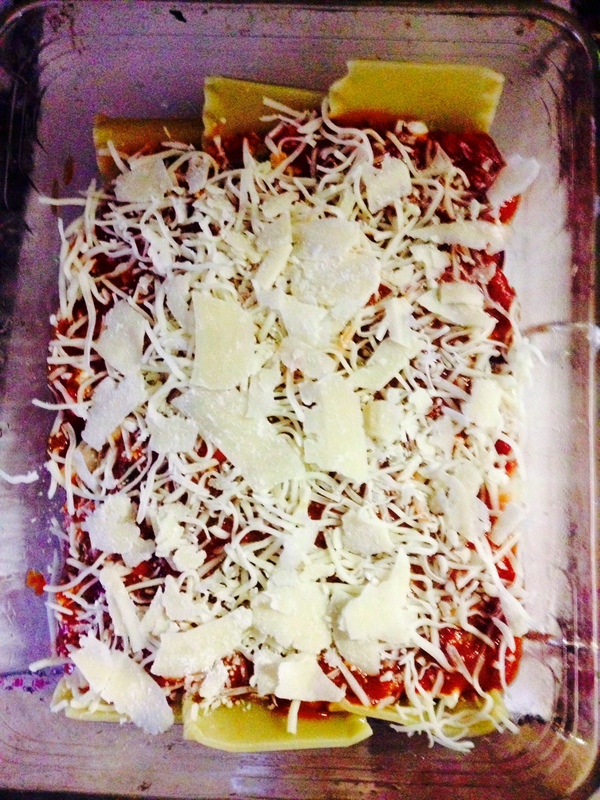 Place a single layer of lasagna noodles on the bottom of the dish (3 noodles). Cover with 1/3 of spinach, kidney beans and chopped onion. Spread 1/3 of the cottage cheese mixture and top with 1/3 of spaghetti sauce. Sprinkle 1/3 of mozzarella cheese and parmesan. 4. Bake for 45 minutes. *Hint: I place a cookie sheet lined with some aluminum foil underneath to make spill over an easy cleanup* Let the cheesy goodness stand for 10 minutes. Enjoy!